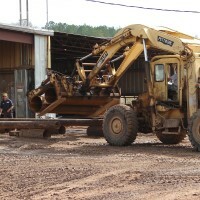 Southland Pipe & Supply Co., located in Bessemer, Alabama is a major remanufacturer, stocking distributor and leading supplier of Carbon Steel Pipe serving a diverse range of building and construction industries. 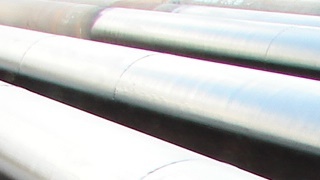 We specialize in limited service and structural grade pipe. Our 40-acre storage facility coupled with our cutting, welding, and coating capabilities make Southland a preferred supplier of structural steel pipe products, especially Pipe Piling, Steel Casings, and Pipe Bollards. We stock large quantities in dead 20' lengths of 6", 8", 10", 12", 14", 16", 18", 20", 22", 24", 30", 36" structural grade steel pipe on our yard. Our Steel Pipe Sales line-card includes Prime Pipe and Structural Grade Pipe in sizes ranging from 2" - 72" OD and wall thicknesses from ¼" - 1". 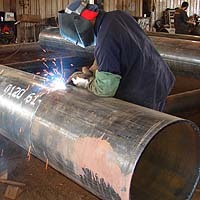 We have over 20 skilled welders and craftsmen cutting pipe, beveling ends, and welding pipe to your specifications. After processing some orders may enter our pipe coating line. There are over 20 acres of inventory on our yard at any given time in various stages of the processing cycle. Five large fork truck pipe handlers move our inventory around the pipeyard. 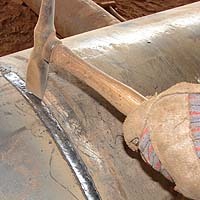 Secondary pipe pricing is far less expensive than the cost of prime when used for the structural side of construction. We concentrate on manufacturing custom cut lengths so that you realize less scrap loss upon installation. All of our pipe supply and inventory is "new and unused". When you have a need for ASTM A252 Grade 2, Grade 3 or limited service pipe for bollards, casings, pilings, and any other use, please, consider us. Since 1992, we have filled several specialty niches. 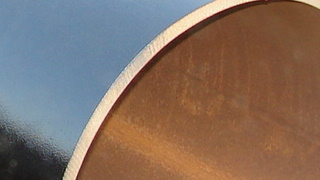 Among our distinctive capabilities we facilitate orders requiring plasma beveling and true machine beveling; specialty coatings and linings, such as bituminous asphalt, coal tar epoxy, polyurethane, and cement; large diameter steel pipe fabrication services; exact footage requirements; and on-time delivery of made to length pipe. The industries we serve include building construction, utility construction, roadway bore construction, sign post and tower construction, marine piling, water utility, sewer, oil & gas. With 30 employees averaging fifteen years in industrial pipe, you can feel confident knowing that you'll get outstanding service at a great price. Our sales staff has been together for over ten years, and we promptly quote your requests. Southland Pipe & Supply Company is located in Bessemer, AL on the southwest side of Birmingham, Exit 1 off I-459, 1 ½ miles north off Eastern Valley Rd. Please, Call us at (800) 886-9764 or Email us at sales@southlandpipe.net for all of your steel pipe requirements.